Practicality and luxury - not always the easiest combination to get perfect! 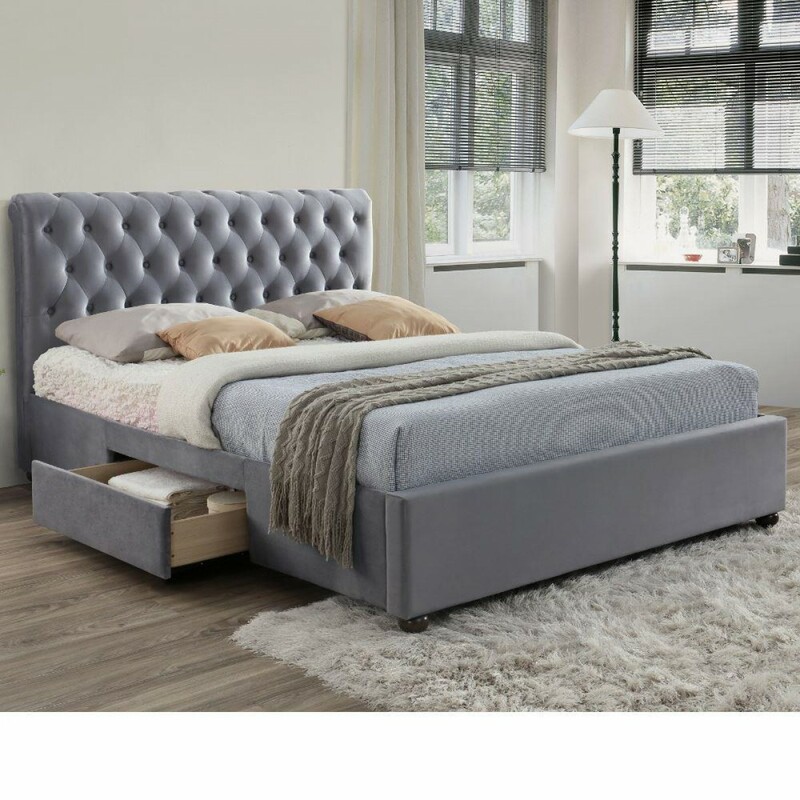 With its 2 underbed storage drawers, statement headboard, and classic design, the Happy Beds Marlow Grey Bed has managed to get it just right. The Marlow features a sumptuous buttoned headboard with a scroll design, as well as a supportive base to give you a comfortable night's sleep. The Marlow bed manages to be both contemporary and classic in design, the scroll headboard and velvet give that feeling of tradition whilst the straight lines of the structure give a hint of modernity. The velvet fabric is designed to soft to the touch and upholsters the whole bed, complementing the stylish wooden feet perfectly. The Marlow proves that luxury doesn't have to mean impractical! The 2 storage drawers underneath the bed are the perfect place for storing that extra clutter you can't find space for. As they are ventilated, they are also ideal for storing things like bedding. Support and comfort is also a focus of this bed, with a solid slatted base supporting the mattress as well as you! 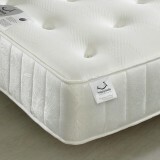 This base allows air to circulate around the mattress, helping it stay fresh and living longer. This also helps you regulate your sleep temperature a little easier to help you get the best night's sleep.